Anne Carpenter concentrates her practice on technically complex civil and criminal matters, including the representation of clients in connection with multi-agency government investigations and enforcement actions, suspension or debarment proceedings, corporate internal investigations, and corporate compliance counseling. Anne regularly advises and represents clients with significant federal contracts with respect to matters before agency suspension and debarment offices, including the Environmental Protection Agency's Office of Suspension and Debarment. She has significant experience in criminal enforcements against oil and gas clients under the Clean Air Act (CAA) and Clean Water Act (CWA), and in civil enforcements against homebuilder clients under the CWA's National Pollution Discharge Elimination System permit program and state-delegated equivalents. Her recent experience includes routine compliance counseling of an international energy services company in connection with implementation of a federal administrative agreement, and the representation of a client in response to what may be one of the first OSHA criminal enforcement actions following the announcement of the federal Worker Endangerment Initiative. Anne co-authors Bloomberg BNA's Daily Environment Report's annual survey, "The State of Environmental Crime Enforcement: A Survey of Developments," for which she was honored with the prestigious Burton Award for Distinguished Legal Writing in 2012. 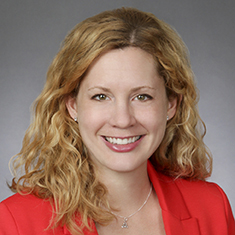 She co-authored "Clean Air Act Criminal Enforcement" in the fourth edition of the American Bar Association's Clean Air Act Handbook, and has presented in webinars for both Bloomberg BNA and the ABA's Section of Environment and Energy regarding trends in environmental criminal enforcement. Prior to entering the field of law, Anne worked as an environmental educator for the New York City Soil and Water Conservation District, where she directed programs for high school and elementary school students in Harlem and across New York City's five boroughs. Shown below is a selection of Anne’s engagements. Representation of a Fortune 10 oil and gas company in both civil and criminal investigations related to environmental and workplace safety issues. Representation of international shipping company in trial and sentencing for alleged violations of the Act to Prevent Pollution From Ships. Representation of a client through extensive environmental compliance obligations imposed as terms and conditions of state-issued criminal probation. Representation of one of the largest water services providers in the United States in a hearing before the EPA's Office of Suspension and Debarment—in opposition to the client's post-indictment suspension—resulting in the lifting of the suspension. An agreement to lift the suspension was obtained before trial, and the client was subsequently acquitted on all charges. Representation of international shipping company in criminal investigation of alleged violations of the Act to Prevent Pollution From Ships, resulting in declination of criminal charges. Representation of international shipping company before the EPA Office of Suspension and Debarment resulting in execution of administrative agreement to avoid suspension from participation in federal contracts and receipt of federal funds. Representation of global provider of oil and gas labor and production services in interagency suspension and debarment proceeding. Representation of an American multinational energy corporation's hydraulic fracturing operations during an extensive government investigation, including conducting site visits and witness interviews, working with technical consultants, and preparing presentations for the EPA. Representation of one of the world's largest providers of wastewater management solutions in a CWA federal jury trial leading to acquittal of the client on all charges. Representation of a cementing engineer in connection with the government's investigation of the Deepwater Horizon incident. Participation in an extensive internal investigation related to a fatality at a client's oil and gas exploration and production facility. Secondment for six months to an energy client's internal environmental safety and law group regarding contaminated site remediation matters, including issues related to the purchase and sale of assets. Representation of a leading lawn and garden manufacturer in one of the largest FIFRA civil and criminal enforcement matters. Provision of routine advice to a national homebuilding and major civil engineering and construction client with regard to CWA stormwater compliance matters. Participated in the negotiation of an agreement with federal regulators to resolve alleged stormwater violations. Assist client in the assessment and implementation of stormwater compliance plans. Co-author, The State of Environmental Crime Enforcement: A Survey of Developments in 2010, BNA, Inc. Co-author, The State of Environmental Crime Enforcement: A Survey of Developments in 2009, BNA, Inc.